I refer to the letter from Laura Clark of St Paul's Bay (October 21) wherein she voices certain concerns in respect of the Lazzaretto at Manoel Island. As the company responsible for the restoration and rehabilitation of heritage buildings on Manoel Island, including Fort Manoel and the Lazzaretto, we have spent years researching various historical aspects of this building and are delighted to have Ms Clark show such interest. In consultation with Alex Torpiano, lead architect on the restoration team, we wish to clear up some misconceptions in her letter. The Lazzaretto is not one building, but a collection of structures dating to different periods between 1643 and 1836. It was not built as a plague or isolation hospital but as a maritime quarantine station for the seclusion in quarantine of healthy, and normally wealthy, ships' passengers, their retinue and chattels. A part of the Lazzaretto was, at one time, used for the fumigation of incoming mail. This was called the Profumo Office. The Lazzaretto fell to other uses once it had ceased to be needed for quarantine. The plague hospital, which is of a much later construction, was a different building altogether, and was situated west of the Lazzaretto. All that remains of this is the one-time superintendent's house, later used as a customs house and an associated small chapel. Both of these structures will also be restored by MIDI plc. 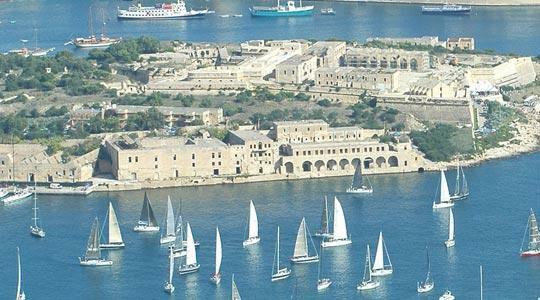 Incidentally, the Lazzaretto is not the oldest surviving construction on Manoel Island - that would be the cattle quarantine shed, later used as a beer distribution centre, which, as the name suggests, was used for the quarantine of cattle imported into Malta. As a comparison, the Lazzaretto buildings are bigger even than Pinto stores at the Valletta Waterfront, and are too large to be designated for a single purpose. The uses to which the restored buildings will be put are not yet determined but they will respect those as detailed in the 1999 Outline Development Permit - basically a mix of heritage, cultural, leisure, entertainment and hospitality-oriented uses.